CooksRecipes has quality, kitchen-tested recipes for turkey appetizers, canapés & hors d'oeuvres that are perfect for parties and entertaining. 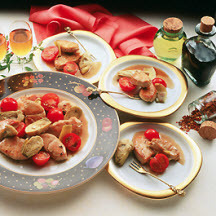 Recipe courtesy of National Turkey Federation. 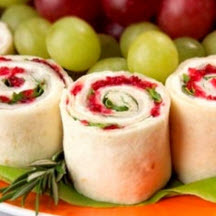 Deliciously easy pinwheel appetizers with great holiday presentation! 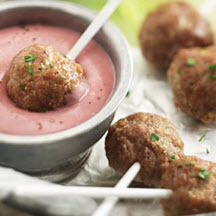 Tasty turkey pesto pops with a kickn' cranberry and horseradish dipping sauce.